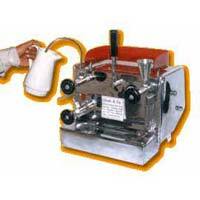 We provide you the best quality espresso coffee machine which serves you a creamy cup of steaming coffee in a matter of time. Our espresso coffee machine is easy to operate and can be easily installed in small space. 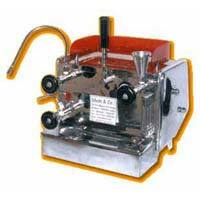 Our highly valued espresso coffee machine is available at the most reasonable rates. Restaurants, Shopping Stores, Parlours, Waiting Rooms, Cinema Halls & Colleges, wherever a person can stop for a quick cup. Normal coffee is boring & out - "Espresso is stylish & IN". Also Coffee is a stimulant & in cold weather, one steaming, creamy cup of coffee gets you going. Espresso is ITALIAN for Steam. Espresso Coffee Machine makes Steamy, Hot Coffee in minutes. Upto 150 Cups in Â½ hour. (from just 5 litres of water). Makes coffee frothy & hence completely alters taste of coffee. 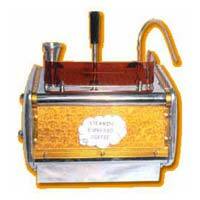 Attractive Counter-top model - instantly recognisable for Espresso Coffee. Pulls in clients / patrons desire to have a quick cup or savour a relaxed mug. Easy operation & small space area - so can be installed in any place. Cheapest Raw Materials - WATER & Milk, Sugar & Coffee. Beautiful Stainless Steel Body for long life & easy maintenance features.